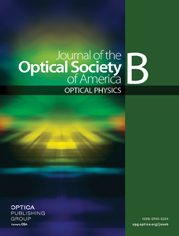 Resonant radiation in optical systems has significant effects on the stability of optical systems, supercontinuum generation, and interaction between light waves. In this paper, we numerically research the resonant waves in dissipative soliton fiber lasers at normal dispersion for the first time, to the best of our knowledge. The resonant wave manifests as discrete sidebands on the spectrum of the dissipative soliton, which results in the instability of the dissipative soliton with low pulse energy. The sidebands originate from the resonant coupling between the dispersive waves and the central frequency components of the dissipative soliton. The phase-matching condition for resonant radiation generation is analyzed and numerically demonstrated. Intrinsic differences between the resonant sidebands and parametric sidebands in dissipative soliton fiber lasers are discussed. Our results not only enhance the understanding of resonant radiation in dissipative soliton fiber lasers at normal dispersion but also offer a guideline to experimental exploration of such resonant radiation.